Description: Mario is done with super powers and all non sense. 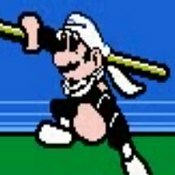 He has learned Kung Fu and now fights with a stick. A crazy adventure fighting in China.